LNG Canada has postponed the Final Investment Decision on the Kitimat project citing the “impact of global industry challenges.” The latest estimates said that the project would cost $40 billion. The news release says that despite strong community support and regulatory approval, what LNG Canada called “the context of global industry challenges, including capital constraints” led to the decision. In other words, the continued low price of oil is constraining projects across the energy industry. 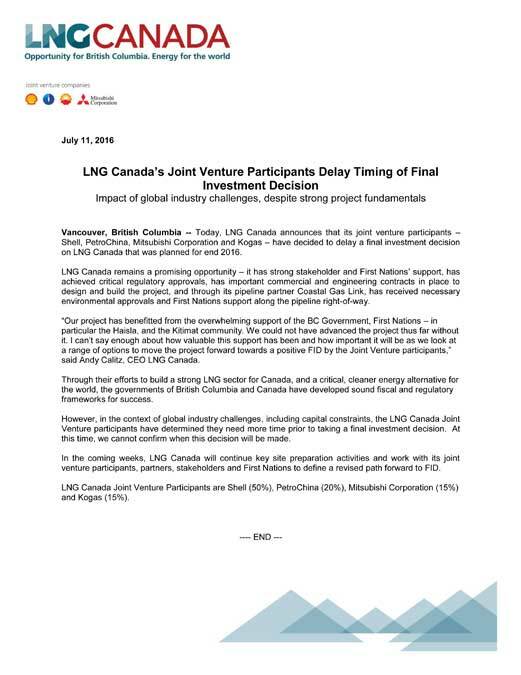 Vancouver, British Columbia — Today, LNG Canada announces that its joint venture participants – Shell, PetroChina, Mitsubishi Corporation and Kogas – have decided to delay a final investment decision on LNG Canada that was planned for end 2016. LNG Canada remains a promising opportunity – it has strong stakeholder and First Nations’ support, has achieved critical regulatory approvals, has important commercial and engineering contracts in place to design and build the project, and through its pipeline partner Coastal Gas Link, has received necessary environmental approvals and First Nations support along the pipeline right-of-way. a range of options to move the project forward towards a positive FID by the Joint Venture participants,” said Andy Calitz, CEO LNG Canada. Through their efforts to build a strong LNG sector for Canada, and a critical, cleaner energy alternative for the world, the governments of British Columbia and Canada have developed sound fiscal and regulatory frameworks for success. 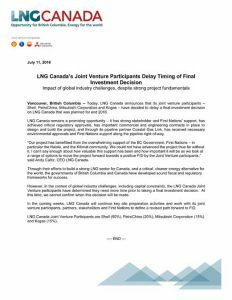 However, in the context of global industry challenges, including capital constraints, the LNG Canada Joint Venture participants have determined they need more time prior to taking a final investment decision. At this time, we cannot confirm when this decision will be made. In the coming weeks, LNG Canada will continue key site preparation activities and work with its joint venture participants, partners, stakeholders and First Nations to define a revised path forward to FID. Haisla Nation Council very firmly believes in the future of liquefied natural gas for the Kitimat Valley and Haisla territory. It is an industry which has the capacity to grow jobs, provide new training opportunities and provide a sustained quality of life for Haisla members. It’s worth remembering that LNG Canada is a relatively new project to the area, and decisions on major projects such as these can take a long time to reach. Today’s decision was the second time the FID was postponed. Andy Caloz LNG Canada’s CEO was quoted by Bloomberg News as saying that the project hasn’t been canceled. It has all the necessary approvals from regulators in Canada and doesn’t require any more work in the country. The Shell-led LNG Canada project in Kitimat has received a facility permit from the B.C. Oil and Gas Commission (OGC), the company said Tuesday. A news release from LNG Canada says the permit is one of the key permits required for the construction and operation of the proposed LNG Canada project. LNG Canada is the first LNG project in British Columbia to receive this permit, which focuses on public and environmental safety, and specifies the requirements the project must comply with when designing, constructing and operating the proposed LNG export facility in Kitimat. That means that Shell and its partners are still keeping a close eye on factors such as the continuing collapse of the price of oil on world markets, the volatile natural gas market in Asia and the slowdown in the economy in China. LNG Canada continues to develop a number of important plans to address public safety and minimize the effects on the environment and local community. For example, LNG Canada is working closely with local emergency response organizations, as well as leading safety experts, in the development of an emergency response framework for the proposed project. “Safety is our first priority. Safety as it relates to people and the environment is embedded into the design and planning of our proposed facility, and will carry into the construction and operation phases of our project should the project go ahead,” said Andy Calitz. Social and economic benefits from the LNG Canada project include local employment and procurement opportunities, federal, provincial and municipal government revenue and community investments. 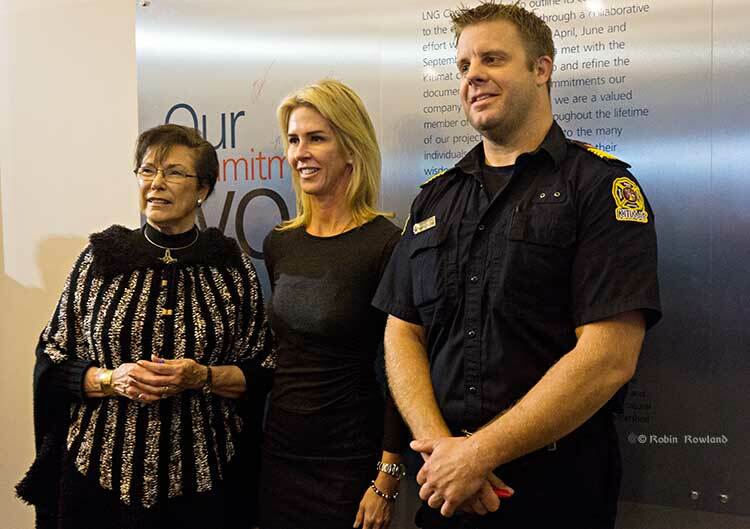 Since 2012, LNG Canada has distributed more than $1 million to community initiatives, such as emergency services, trades scholarships and community services. LNG Canada has also contributed more than $1.5 million in programs to build awareness and help provide training for trades careers in all industries, and particularly the emerging LNG industry. LNG Canada is a joint venture company comprised of Shell Canada Energy (50%), an affiliate of Royal Dutch Shell plc, and affiliates of PetroChina (20%), Korea Gas Corporation (15%) and Mitsubishi Corporation (15%). The joint venture is proposing to build an LNG export facility in Kitimat that initially consists of two LNG processing units referred to as “trains,” each with the capacity to produce 6.5 million tonnes per annum of LNG annually, with an option to expand the project in the future to four trains. 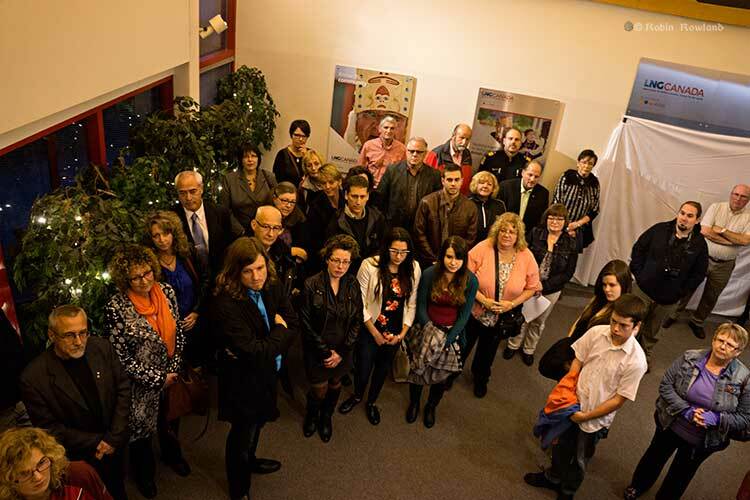 The Shell-led LNG Canada project unveiled its commitments to Kitimat at a ceremony at the community information centre at the old Methanex site on October 7, 2014. LNG Canada has forged the commitments in a sheet of aluminum that is bolted to the wall of the community information centre. Kitimat Mayor Joanne Monaghan unveiled the aluminum sheet, assisted by Kitimat Fire Chief Trent Bossence. Afterward, Susannah Pierce, Director, External Affairs, LNG Canada, signed the sheet, followed by Mayor Mongahan, Chief Bossence, other LNG Canada officials and members of the community. LNG Canada is proud to outline its commitments to the community, created through a collaborative effort with local residents. In April, June and September 2014, LNG Canada met with the Kitimat community to develop and refine the commitments our company will meet to ensure we are a valued member of the community throughout the lifetime of our project. We are grateful to the many individuals who took part and shared their wisdom and experience. 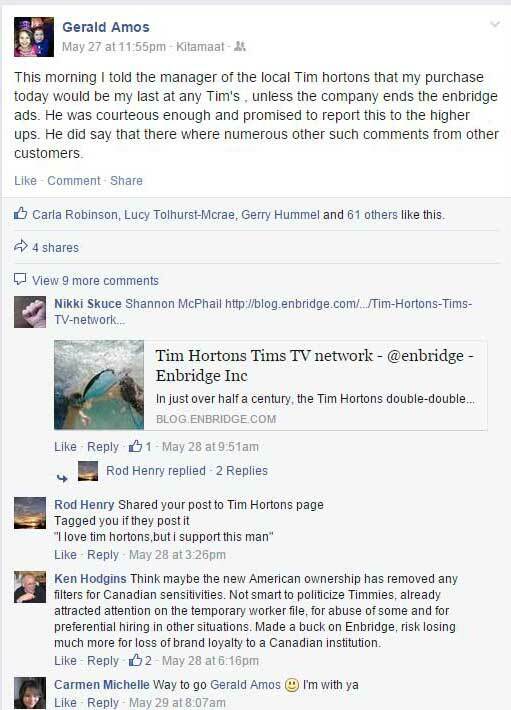 1) LNG Canada respects the importance residents place on companies being trusted members of their community. We aspire to gain this trust by proactively engaging with the community in an honest, open and timely manner; by listening and being responsive and accessible; and by operating in a safe, ethical and trustworthy way. 2) LNG Canada understands that the ongoing well being of the community and the environment are of paramount importance. LNG Canada will consider the health and safety of local residents, employees, and contractors in every decision it makes. 3) LNG Canada recognizes that the environment and natural surroundings are vital to the community. We will be dedicated to working independently and with the community to identify and carry out ways to reduce and mitigate the impact of our facility footprint on the natural surroundings – in the Kitimat Valley, the Kitimat watershed and the Kitimat airshed. 4) LNG Canada is aware of the importance to the community of maintaining and improving access to outdoor recreational opportunities. We will work with the local community to facilitate the creation of new projects that protect or enhance the natural environment and that provide access to the outdoors and the water. 5) LNG Canada recognizes it will be one company among other industrial companies operating in the community. We will work with other local industry leaders to manage and mitigate cumulative social and environmental impacts, and create opportunities to enhance local benefits associated with industrial growth. 6) LNG Canada acknowledges that the commitments we make are for the long term. We will work with the community to develop an environmental, social and health monitoring and mitigation program that meets regulatory requirements and we will share information on the program with the public for the life of our project. 7) LNG Canada understands the need for the community to benefit from our project and values the contributions all members of the community make to the region. We will work with the community to ensure that social and economic benefits from our project are realized and shared locally. 8) LNG Canada acknowledges the importance the community places on our company being an excellent corporate citizen and neighbour that contributes to the community. In addition to providing training, jobs and economic benefits, we will make social investments important to the community to positively impact community needs and priorities. BC Premier Christy Clark, BC LNG Minister Rich Coleman, LNG Canada executives and delegations from the joint venture partners, Shell Canada Energy, Diamond LNG Canada, an (“affiliate” of Mitsubishi), Korea Gas Corporation and Phoenix Energy (an “affiliate” of PetroChina) will be present at a downtown hotel. 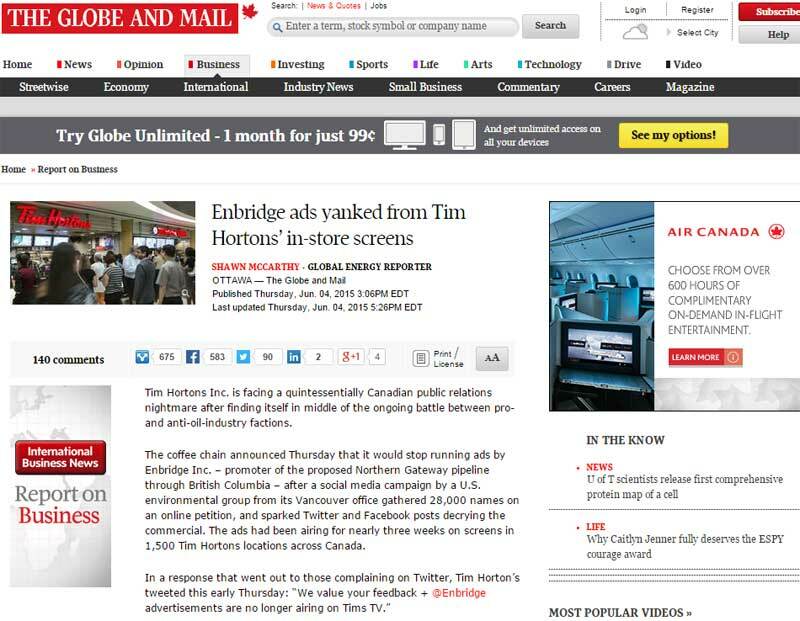 Britain’s Financial Times today chose two Kitimat related companies to highlight how western business is turning more and more to China. Royal Dutch Shell has said it will deploy more Chinese equipment at its struggling US shale business – becoming the latest natural resources company to try to reduce costs by switching to cheaper Asian suppliers. Miners such as Rio Tinto and Antofagasta have already been encouraged by improvements in the reliability of Chinese machinery, which they say can now be integrated into their existing operations without compromising efficiency or safety standards…. Shell’s move comes as oil and mining companies – which ramped up capital expenditure in recent years amid a huge commodities boom – are being pressed by shareholders to curb spending and improve returns…. Rio Tinto, the Anglo-Australian miner, has also been on a spending spree in China. The company, which is slashing its capital spending after disappointing investors with cost overruns, says it made close to $2bn-worth of equipment purchases in China last year, and around $1bn-worth in India. Rio Tinto Alcan has said that much of the building materials and equipment for the Kitimat Modernization Project has come from China, often in huge modules which are then inserted into the new buildings as part of the aluminum smelter upgrades. The Kitimat environmental group Douglas Channel Watch has soft launched a new website. It can be found at douglaschannelwatch.ca. At the moment the site redirects to the web designer site, as that company continues to build the site. Full operation of the website is expected to begin in the next few days. Douglas Channel Watch is playing catchup. 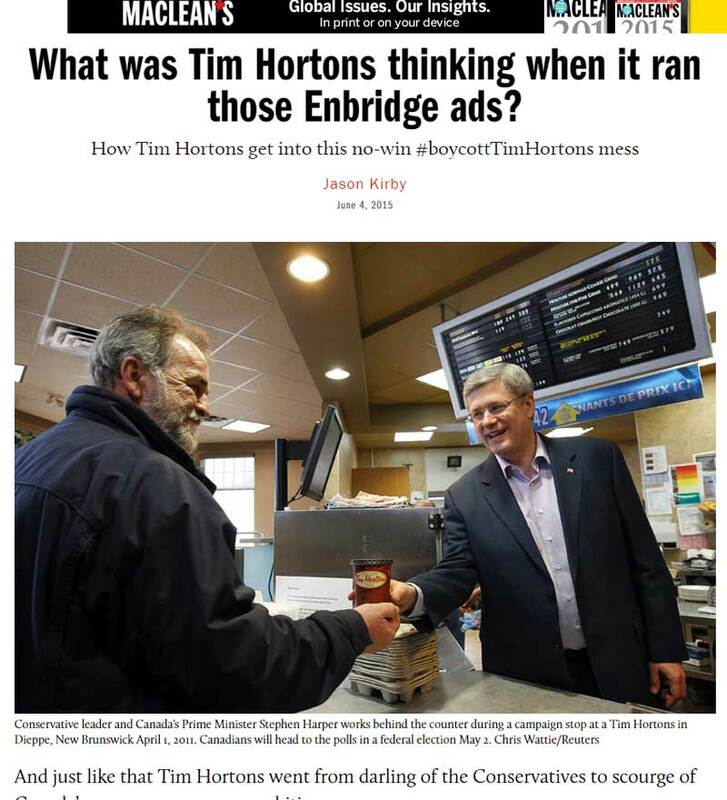 Enbridge Northern Gateway launched a plebiscite vote yes website YesforKitimat, a couple of weeks ago. 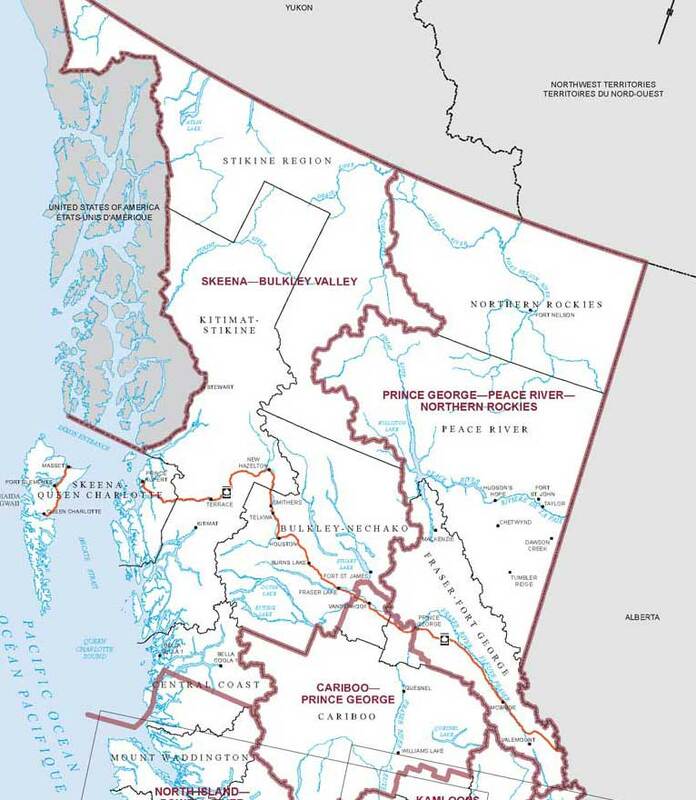 Skeena Bulkley Valley MP Nathan Cullen and the New Democratic Party also have a campaign website, largely aimed at the rest of the province, Take Back Our Coast promoting rallies in Campbell River, Powell River, Courtney, Duncan, Victoria and Vancouver. The two major Kitimat LNG projects are also about to launch new websites. Shell’s LNG Canada held focus groups and discussions in Kitimat a few weeks ago as part of the company’s planning for its new website, which LNG Canada public relations staff said would be more engaging for the residents of the region. At the recent open house, Chevron, which is building the KM LNG project at Bish Cove also said they were redesigning their website. Rio Tinto has signed an option agreement with the LNG Canada project “to acquire or lease a wharf and associated land at its port facility” in Kitimat. Since LNG Canada, a joint venture of Shell Canada Energy, Phoenix Energy Holdings Limited (an affiliate of Petro-China Investment (Hong Kong) Limited), Kogas Canada LNG Ltd. (an affiliate of Korea Gas Corporation) and Diamond LNG Canada Ltd. (an affiliate of Mitsubishi Corporation) has not yet made a Final Investment Decision on the project, the option will likely be triggered if that decision is made. There is currently uncertainty about Royal Dutch Shell projects worldwide due to management restructuring at the parent company. The deal between Rio Tinto, parent company of Rio Tinto Alcan, for the old Eurocan dock, has been in the works for some time. 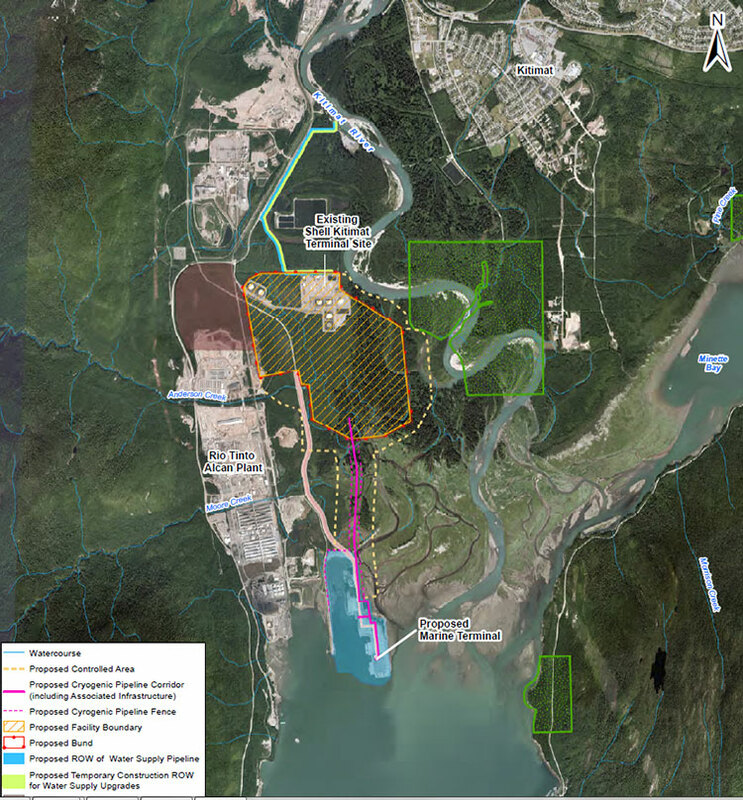 When LNG Canada filed for its environmental assessment with the province of British Columbia a few weeks ago, the map showed the footprint of the project extended from the old Methanex plant site, where LNG Canada will be located through RTA lands on the Kitimat river estuary to the dock, long before Wednesday’s deal was signed. 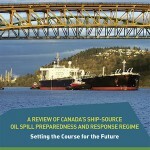 The list of participants in the oil spill preparedness and response study released last week by the federal government shows two glaring no shows, the District of Kitimat and Rio Tinto Alcan. The Haisla Nation and the Gitga’at Nation did provide written submissions to the panel. 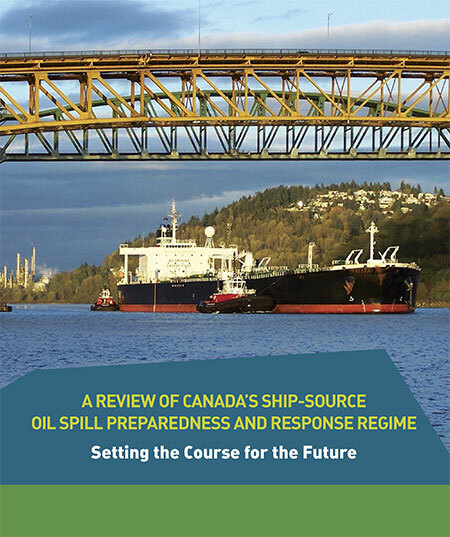 As well as commissioning the Genivar report on the state of oil spill preparedness and consequences, the panel interviewed stakeholders and visited a few key locations, including Port Metro Vancouver. The panel also invited any interested groups to submit documents or their own views to be taken into consideration. Among the stakeholders interviewed by the panel were companies and organizations very familiar to Kitimat; Chevron and Shell, main partners in two of the LNG projects; Enbridge, which has proposed the Northern Gateway Pipeline and Kinder Morgan which has proposed expanding the dilbit pipeline on the Lower Mainland. Other stakeholders included Coastal First Nations, the Prince Rupert Port Authority, SMIT Marine and the Vancouver Port Authority. As well as the Haisla and the Gitga’at, five west coast municipalities submitted their own reports to the tanker panel, both the city and districts of North Vancouver, the city of Richmond, the District of Ucluelet and the District of West Vancouver. San Juan County in Washington State also made a submission to the panel. So did the Prince Rupert and Vancouver Port authorities. Chevron, Enbridge, Imperial Oil, Kinder Morgan, Pacific Northwest LNG, Seaspan Marine, and the Union of BC Municipalities, among others also submitted their views to the panel. 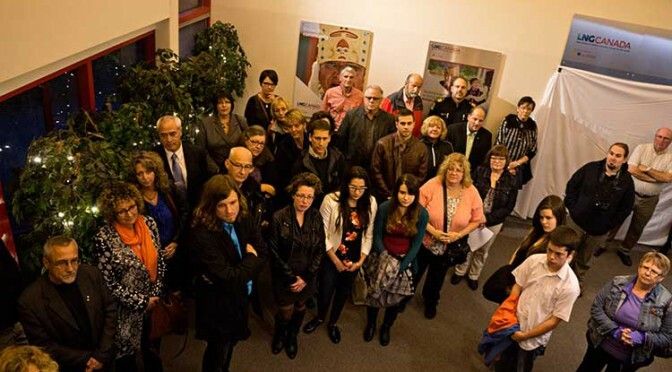 So why didn’t the District of Kitimat participate? 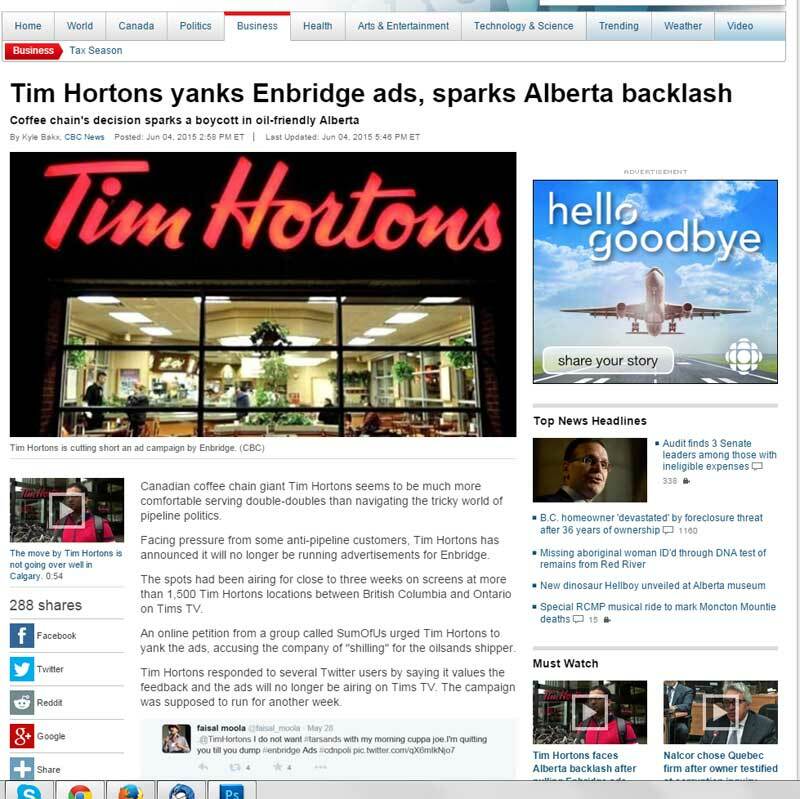 When it came to the Enbridge Northern Gateway Joint Review, the mayor and council always maintained their neutrality motion meant that the District would not be an active participant. That was always a short sighted viewpoint. The District should have participated actively in the JRP in such a way as to protect the region’s interests where necessary while remaining neutral. 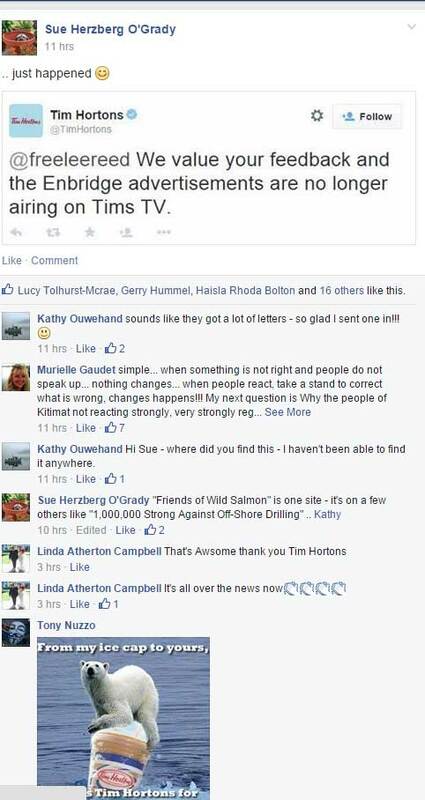 If the District of Kitimat sat out the tanker panel because of the Northern Gateway neutrality policy, that was no excuse, because the expert panel’s mandate specifically included LNG. Tanker traffic is a potential threat to the San Juan Islands (the Gulf Islands on the American side of the border). It is astounding that San Juan County would think that the Canadian tanker panel was important enough to make a submission and the District of Kitimat did not. 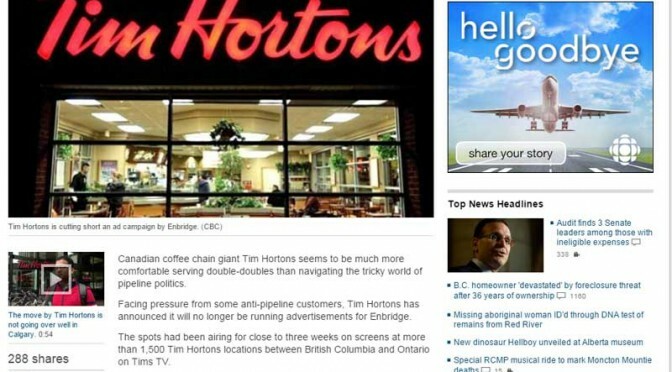 What about Rio Tinto Alcan? Kitimat has been a private port for 60 years, run first by Alcan and then by Rio Tinto Alcan. Why wasn’t RTA asked to participate as a stakeholder? Why didn’t RTA make a submission? Those who are pushing the Northern Gateway terminal always like to say that tankers have been calling at Kitimat for those 60 years. That is true. 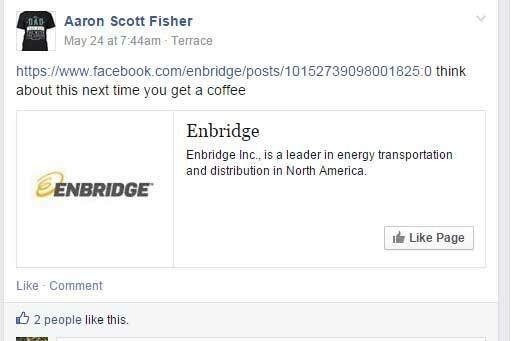 Of course, none of those tankers have been the Very Large Crude Carriers proposed by Northern Gateway. However, those 60 years means that RTA has the expertise on the Port of Kitimat and Douglas Channel. RTA probably has important data that could have helped both the expert panel and Genivar (which pointed out the paucity of data on small and medium sized tankers). In not participating in the tanker panel submissions and possibly not providing valuable data on Douglas Channel, RTA neglected its social responsibility both to the community of Kitimat and the rest of the province of British Columbia.